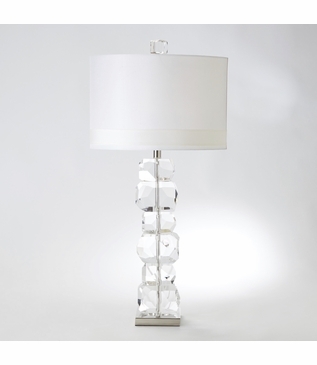 This stunning lamp features stacked crystal facet cut pieces to create an accent piece perfect for adding a bit of sparkle to any room. 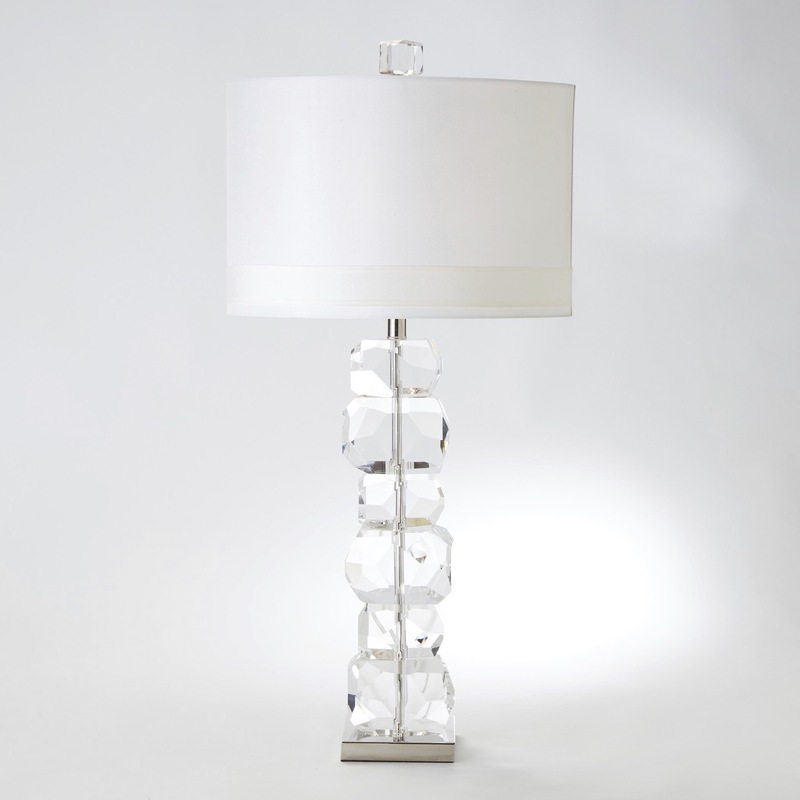 An oval, ivory silk shade completes the look.The double-threaded nature of the ivory silk makes it elegant and durable. Slubs and irregular threads on the shade are genuinely natural and distinctive, and slight variation should be expected from piece to piece. 1-100W maximum, Type A bulb (not included), 3-way switch at socket.